Most of the time when people talk about specialty insurance, they are talking about insurance coverage that provides companies with specialized protection based on their industry or on specific risks they are face. However, there is also a side of specialty insurance that is all about covering personal interests. Many people believe that their auto, renter, or homeowner’s policy provides coverage for these specialty risks and depending on the policy, it might. But in many cases these specialty items actually indicate a gap in coverage that leaves them open to liability claims and property loss. To help you understand if you have any of these specialty risks, here is information on some of the most common types of specialty personal coverage. If you own a boat, you may have some coverage under your existing homeowner’s or renter’s policy. Many companies will provide limited coverage for small boats like canoes as part of their base homeowner’s protection but it would be a mistake to assume any and all watercraft related risks are covered this way. Even if minimal property coverage is included in your homeowner’s policy, it is unlikely that liability protection will be included. Additionally, if you have a boat with an engine that can go more than 25 mile per hour, you may need to obtain additional coverage. While most homeowner’s know that damage caused by floods is not covered by their homeowner’s insurance policy, there are still many homes that remain unprotected against this specialized risk. Additionally, flood damage is also excluded from most renters insurance policies which means that even renters need to secure this specialty protection, especially if they are in a flood zone. Damage from earthquakes and other natural disasters is generally excluded from personal insurance coverage which means it must be purchased separately in order for you to be protected. Most earthquake policies or riders carry a much larger deductible than other personal policies. If you live in an area where earthquakes happen often, having this insurance is critical to protecting your financial future. But remember, earthquakes can happen almost everywhere and in areas with low risk, the cost of adding this coverage is often minimal. Riding a motorcycle, just like driving a car, carries certain risks and responsibilities and most states require drivers to carry a certain amount of insurance. However, your motorcycle is not always automatically covered under your existing auto policy. 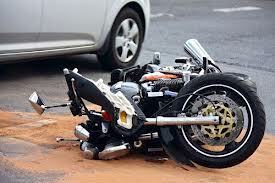 A motorcycle insurance policy protects you from property loss or damage if something happens to your bike and with liability coverage in the event you are responsible for causing damage to something or someone else. In addition to this base coverage, you may also need to add coverage for accessories or specialized equipment. Like other types of specialty coverage, recreational vehicle insurance provides additional protection from risks specific to your RV. This type of insurance goes beyond what is covered by auto policies, property damage and liability coverage, and often offers additional protection from breakdowns and travel related risks. If you are concerned that you have a specialty risk that may not be covered by your existing policies, talk to your insurance agent. They can walk through the details of your policies and help you determine if you need additional coverage and which type you need. If you are like many homeowners who believe that water damage caused by flooding is covered under their homeowners policy, you probably think the answer to that question is no. However, if you own a home and it ever rains where you live, the answer to this question is probably yes. If it rains, it can flood, and if it floods, any damage caused to your home and property will not be covered unless you have a flood insurance policy. Flood insurance in the U.S. is not included in homeowner’s policies or business property insurance policies; it is provided by the National Flood Insurance Program (NFIP) to homeowners and businesses in participating NFIP communities. In order to become a participating community, a town or city must agree to adopt, uphold, and enforce ordinances that help reduce the risk of flooding as mandated by the Federal Emergency Management Agency (FEMA). If your town or city is not an NFIP participating community, flood insurance is not available to you. To find out if your community participates in the National Flood Insurance Program, visit the National Flood Insurance Program Community Status Book on FEMA’s website and click on your state. A flood is defined as “the temporary inundation of two or more normally dry acres of land or two or more adjoining properties by water or mudflow.” There are a number of circumstances that can cause flooding and the danger exists is areas prone to rain and areas that are generally very dry. Common causes of flooding are hurricanes, tropical storms, excessive or heavy rainfall, and snowmelt. 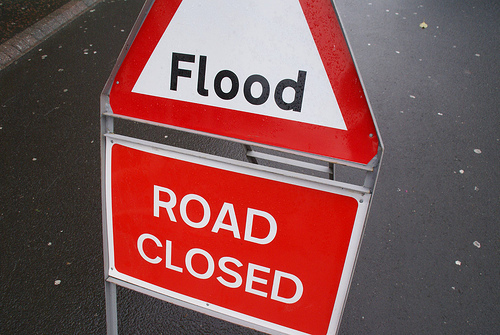 While we often think of weather conditions as the main threat for flooding, there are also circumstances that can result in flooding where it is not usually expected and without any forewarning. Things like a dam break, ice jam, or a clogged drainage system can also result in flooding that would not be covered by a homeowner’s policy. Here in Arizona, floods are a common hazard that results from heavy rains, monsoons, or other storms that result in excessive rainfall. According to FEMA’s Arizona FloodSmart Fact Sheet, the state is particularly prone to flash floods which come out of nowhere and can happen after only a few minutes of heavy rainfall. Arizona residents are also at a higher risk for flooding after seasons with a significant number of wildfires, like last year. Wildfires change the landscape and alter the ground conditions making it possible for flooding to occur in different areas than prior years. According to FEMA, there were five federally declared flood disasters in Arizona between 2000 and 2010. These historical disasters provide a detailed picture of how flooding can happen here and how devastating its effects can be for communities and residents. 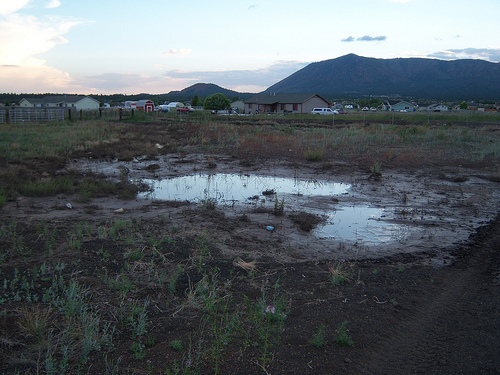 2010 – Combination of the damage caused by the Schultz Wildfire and heavy rains in July and August left 38 homes flooded and damaged by mud and debris. 2006 – July and August monsoons caused widespread flooding that affected 93 communities across the state and cost more than $4M in damages. 2000 – During a three week period at the end of October and beginning of November, 440 homes were damaged by flooding resulting in more than $4M in damages. Protect your home, your possessions, and your peace of mind by purchasing a flood insurance policy today. Don’t wait until you are knee deep in water and watching your furniture float out the window to decide you need flood insurance. The majority of homeowner’s policies written today provide three types of coverage: damage to or loss of your house, damage to or loss of your possessions, and protection from liability claims. These standard coverages protect you from losses resulting from most natural causes including fire, wind storms which includes hurricanes and tornados, lightning, hail, and the weight of ice and snow. It also covers losses that are not caused by Mother Nature like riots, civil unrest, aircraft collision or other falling objects, theft, and vandalism. The personal liability coverage included in most standard policies is enough to protect against small to medium sized liabilityclaims against you. Most homeowner’s policies are fairly comprehensive in the type of protection they provide, which leads many homeowner’s to assume that any loss to their house or property and any lawsuit against them will be covered by the insurance company. However, a quick review of the list of natural disasters above makes it clear that this is a bad assumption since floods and earthquakes are not covered by a standard policy. The best way to make sure you know exactly what your policy covers and what it does not, is to read your policy from cover to cover. If you find anything that you thought was covered that is not, you may be able to increase your coverage by adding a rider or extension to your existing policy or by purchasing an additional policy. Here are some of the most common types of extra coverage homeowners add to their policies. One of the misconceptions about property replacement under a homeowner’s policy is that there are no limits on individual items. You assume that if everything you own is worth less than your policy limit, everything will be covered and replaced. However, most policies include specific limits on high value items like jewelry, furs, expensive collections, and even computer equipment. If the value of your property in one of the specified areas is higher than the limit listed in your policy, you need to add a higher limit or schedule those items for additional coverage. As mentioned above, there are two specific natural threats that are almost always excluded from a standard homeowner’s policy, floodsand earthquakes. If you live in a flood zone, you will need to secure flood insurance from the National Flood Insurance Program separately from your standard homeowner’s policy. When it comes to earthquakes, many homeowners’ don’t feel they need extra coverage because it is unlikely that an earthquake would damage their home. This is especially true if they live outside of the most seismically active states, Alaska, Hawaii, and California. If you think it will never happen to you, consider this. There were 43,458 earthquakes in the U.S. between 2001 and 2011 according to theUnited States Geological Survey (USGS). Even if you take out the quakes in the three states above, roughly 90% based on earthquake data for the last 40 years, 4,348 quakes remain. This equates to more than one quake for each day of the 10 year timeframe from 2001 to 2011. If you believe that earthquakes never happen where you live, you may want to take a look at the stats; there are only 8 states that have not experienced a single earthquake since 1974. 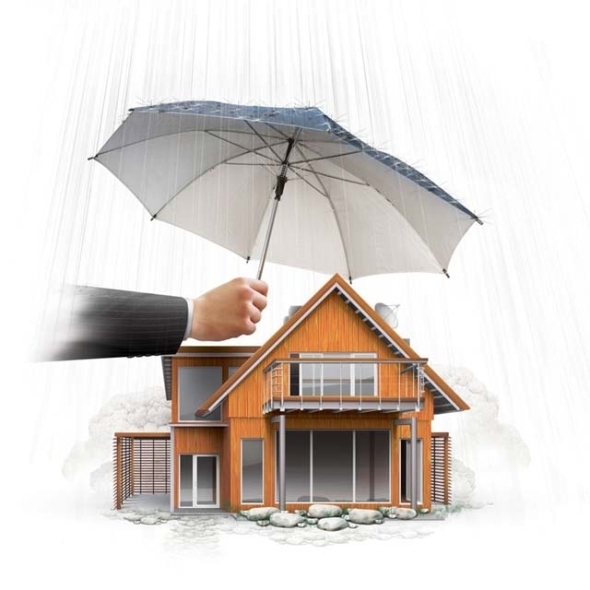 Umbrella coverage is a separate policy that goes over your homeowner’s policy and provides an extra layer of protection in the event of a substantial loss. For homeowners, this type of coverage can protect your assets, including your house, if someone sues you. There is a limit, indicated in your policy, on how much your homeowner’s policy will pay out for personal liability losses. If someone is hurt or killed on your property and you are found liable, that standard limit may not be enough to cover any judgment or settlement resulting from a lawsuit. This type of coverage is one of the most important things you can add to your existing homeowner’s policy because of the broad protection it provides. No homeowner wants to have to file a claim against their homeowner’s policy. Whether the claim is a result of Mother Nature or a stroke of bad luck, filing a claim means you have suffered some kind of loss. Even something that seems superficial can impact our sense of security and if there is any place on the planet where we should feel safe, it is in our own homes. Our homes hold more than just our possessions. They also hold the memories of days gone by and dreams of days yet to come, none of which can be replaced by an insurance company, no matter how great a policy you have. As a homeowner, there are steps you can take to minimize the risk of loss and safeguard the safety and security of your family. While some seem like common sense, we often overlook the most common things that would keep our homes whole and our families safe. For example, everyone knows that it is very important to have a smoke detector on every floor of your house and to check the batteries regularly. However, according to the National Fire Protection Association, two-thirds of the deaths caused by house fires in the years between 2005 and 2009 occurred in houses without a working smoke alarm. Additionally, the majority of smoke alarm failures can be tied back to missing or dead batteries. Below are 5 tips all homeowners can take to safeguard themselves against loss. Many people think the only cause of water damage is flooding but water damage caused by plumbing problems, leaking roofs, broken pipes, and other non-flood related events is far more common. If you have a basement, make sure you have a floor drain or sump pump to remove any unexpected water. If you use the basement for storage, make sure valuables are stored in such a way that unexpected water will not cause damage. You should also have your plumbing inspected annually. Verify that all smoke alarms are working and that fire extinguishers are easily accessible throughout the house. Keep track of fireplace, wood stove, chimney, and heating system inspections and cleanings so you know they are occurring on a regular schedule. Replace any frayed or damaged cords and be sure you know how to shut-down the power in the house if there is an emergency. Here in Arizona, monsoon season brings high winds that can cause serious damage. Minimize the risk of tree damage by inspecting your property and taking care of loose limbs and dead trees. Make any necessary repairs to siding, windows, and roofs to prevent further damage from high wind and torrential rain. Create an emergency plan and stock emergency supplies to ensure your family’s safety in an emergency. One of the best ways to prevent a break-in is to make your home unappealing to thieves. Installing a home alarm system, exterior motion-sensor lights, and deadbolt locks are all ways to make it harder and therefore less appealing to get inside. Keep track of all house keys and make sure windows and doors are locked when you leave and when you settle in for the night. In the event that you do experience a loss, it can be very challenging to remember exactly what was lost and to be able to establish the value of all possessions. Completing a home inventory prior to experiencing a loss ensures you will have the information if it is ever needed. Be sure to include receipts, appraisals, pictures, and video with your inventory and store the physical inventory offsite.